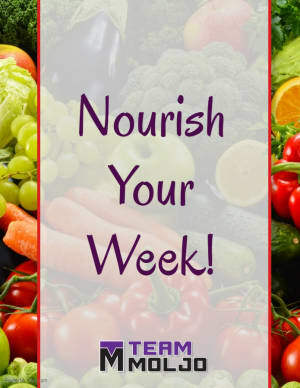 3 Tips for a Healthy Week! Starting the journey to a happier and healthier life has many levels to it, one of the most important is nutrition. What you put in is what you get out. You are the biggest influence in your nutritional heath, but here are some tips to help you look good, feel good, and enjoy eating right. When choosing foods, think fresh not processed. When shopping try to stay on the perimeter of the grocery store, this is where the most wholesome, nutritious foods tend to reside. If you do end up finding yourself lurking down the aisles looking for other foods to eat, read the ingredients before adding it to your cart. The less ingredients the better, and stay away from lists with ingredients you aren't able to pronounce. When cravings strike, you don't have to throw away all the hard work you have done. There are plenty of healthy alternatives to help satisfy your cravings but won't ruin your progress. For example, instead of using sugar, you can use things like honey and agave to sweeten up your smoothies, coffee, etc. or opt for Greek yogurt instead of the regular yogurt cups. Self-disciplined. Teachable. Relentless. Optimistic. Noble. Grateful. I can't say enough about Team Moljo. Great coaches, awesome workouts and an atmosphere I have yet to find anywhere else! It’s my home away from home! Best gym and trainers ever!! These trainers are so friendly and motivating! They are super focused on helping and making you better! They help you do the workouts correctly to learn the best ways to transform your body and skill set, while also avoiding injury. Fun workouts that kept you moving and the class I took was structured like a team effort, so everyone was working their hardest to not let the rest of the team down, which was awesome and helped me not want to give up even though the workouts were challenging. I would recommend this gym to all ages, shapes, and sizes. Seriously the best!!! Nicole specifically!! Take her class you will fall in love! The trainers are wonderful, helpful and incredibly supportive of their clients. What I especially appreciate though is their commitment to the community. From coaching high school sports to offering our alumni internships, to supporting a client's personal events. This speaks volumes as to the character of the owner, John Moljo, and his trainers.